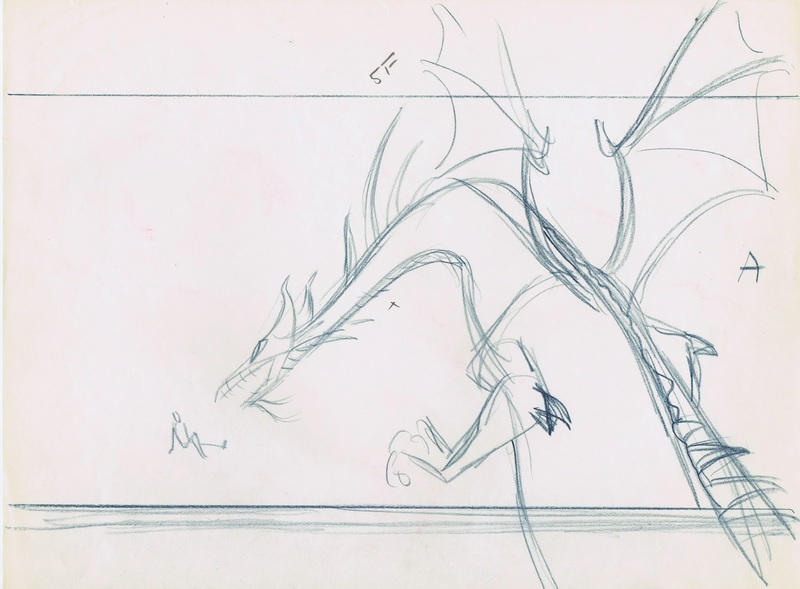 Eric Cleworth animated Sleeping Beauty's breathtaking dragon in pursuit of Prince Phillip. Woolie Reitherman directed this sequence, and both artists were able to infuse high drama into the film's climactic finish. 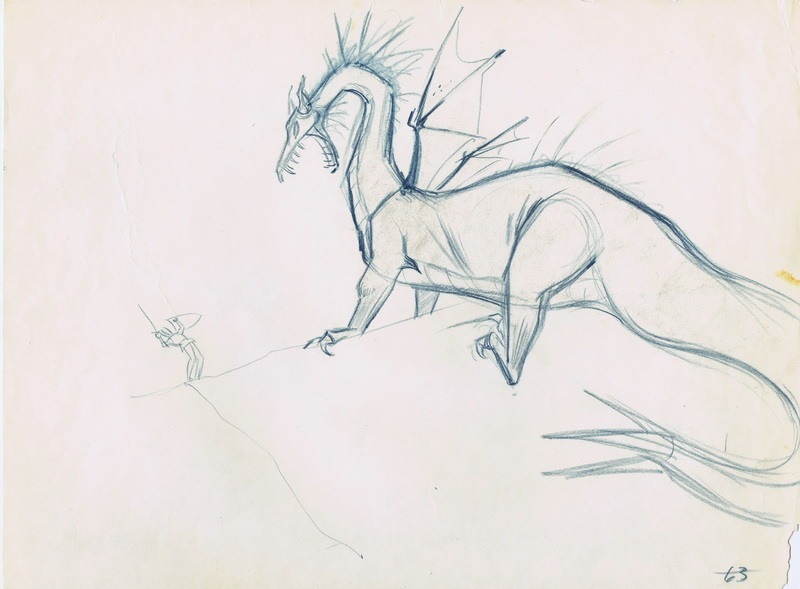 I have the feeling that Marc Davis had something to do with the dragon's final design, since it it based on Maleficent, the character he animated. 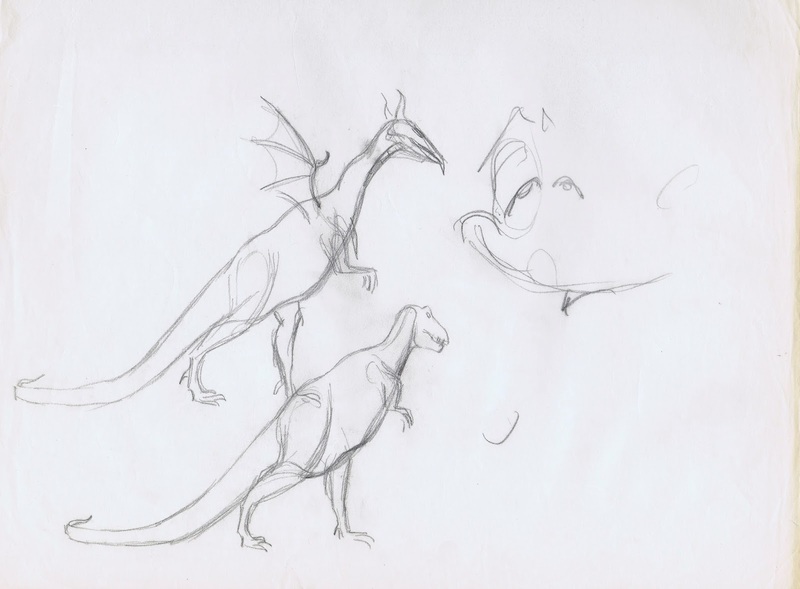 It is interesting to see that early designs were influenced by the anatomy of a dinosaur. 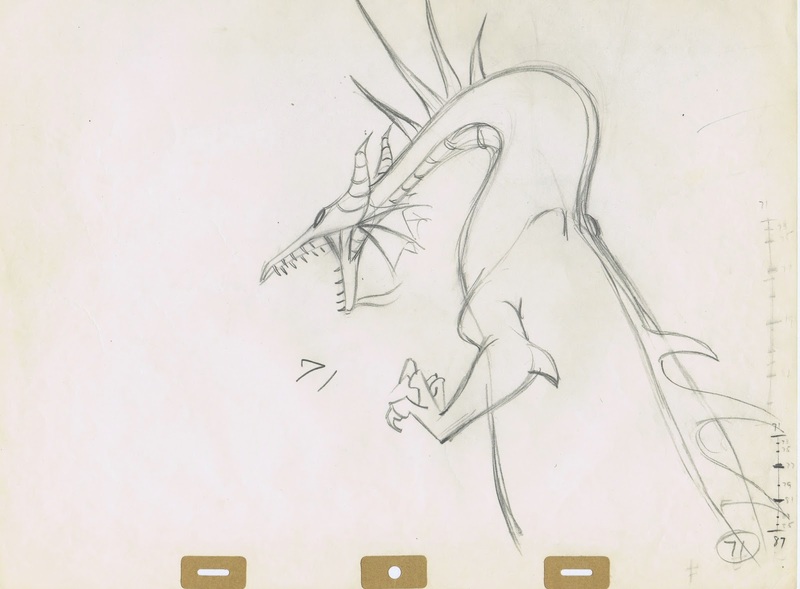 (This might have been Woolie's idea, who had animated a dinosaur fight in Fantasia). I am not sure if these are Cleworth's drawings, but they sure are powerful and show a great sense for design and animal body structure. The widescreen format was perfect for this type of a battle, you could actually show the entire dragon on the screen. And those sound effects are just incredible.